Oh wow, I’m super tempted on this deal! 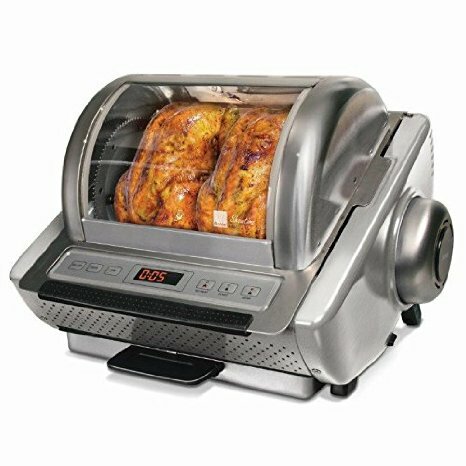 Amazon has marked down the highly rated Ronco EZStore Stainless Steel Rotisserie Oven, Silver down to $109 with FREE shipping! As a price comparison, this sells for $160 at Sears. I love that it’s stainless steel. I buy cooked rotisserie chickens all the time as they make for several meals, plus you can make broth out of the carcass or bones. This would definitely be a savings over the long run, as raw whole chickens go on sale all the time. I’m off to go convince my husband that we need this! 😉 Grab it here while the price is low.